Uncomfortably close to the relegation scrap West Ham face a difficult trip to The Emirates. After last night’s results, West Ham travel to The Emirates having dropped to 15th place in the Premier League table. By the end of the day it is not unthinkable that we will have fallen further in the standings as we have become one of a handful of clubs competing to avoid the third relegation place. A few weeks back the spectre of relegation was viewed as a mathematical rather than a realistic possibility. With key players unavailable and with a dispirited and largely disorganised side on the slide after a run of four consecutive defeats it is surprising that there the alarm bells are not ringing even more loudly. As relegation rivals knuckle down to scramble clear through hard work we appear to be meandering dangerously and obliviously towards the drop. Whether Slaven Bilic can conjure up a cunning escape plan that does not rely on other club’s performing even worse remains to be seen. Fellow under-fire manager Arsene Wenger must have uttered a silent “magnifique” when he spotted that his next opponents were the obliging eastenders. Although Arsenal’s record this season is identical to the same stage last time around they are further off the pace for their customary Champion’s League qualification. 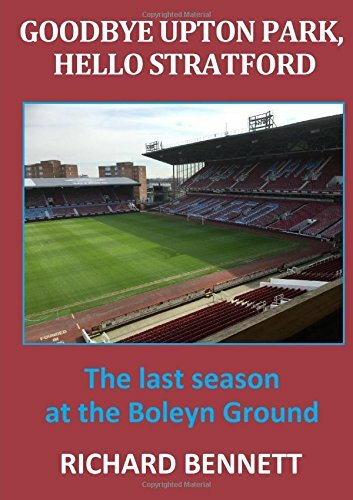 Having seen off the Hammers with aplomb at the London Stadium in December today’s encounter will be seen as a perfect opportunity to set off on a strong finish to the season. Arsenal have their problems, but they are still a team with a lot of pace, a team you can’t afford to lose the ball against in your own half because the transition and pace they have up front is unbelievable. When they lose the ball they are very vulnerable because they leave a big space behind which you can use. I was equally pessimistic going in to the corresponding fixture last year as West Ham, fresh from their tame Europa Cup exit, kicked off their Premier League campaign at The Emirates. As we know it turned out to be the first in a number of surprise results as a relatively unknown Dimitri Payet and a young Reece Oxford helped plot a shock 2-0 win for the Hammers. The future looked bright as the dark days of Fat Sam were replaced with the fresh air of an apparently bright and tactically astute new manager. How quickly football can change! Last year’s victory was the solitary Hammer’s win in the last fifteen meetings against the Gunners, which otherwise have seen eleven defeats and just three draws. Both teams are on a sorry run of form with West Ham having taken just two points from the last six games and Arsenal slightly better with four. There have, however, been a few memorable and unlikely successes away to Arsenal over the years including that permanent record of being the last away team to win at Highbury and the first to win at The Emirates. Getting a result tonight would rank alongside both events and could even go down in history as a minor great-escape for both the club and Slaven Bilic. West Ham welcome back Michail Antonio for tonight’s game with his place in the treatment room being taken by Aaron Cresswell. There is much speculation about the return of Diafra Sakho with the player claiming he is raring to go while board and manager are voicing a more cautious stance with talk of a place on the bench. I wonder what Sakho is like at left back? The major problem for West Ham is how their ageing central defenders and largely plodding midfield will contain an Arsenal side that attack with pace and movement. In terms of style Arsenal and Manchester City have much in common and both have a tendency to open up our defence with ease. To have any hope West Ham have to deny space in the central areas and to break quickly when in possession. I doubt we have the players or level of fitness to do either over the course of 90 minutes. If we show the same spirit we showed against City, we will win football games. We have played 20 games unbeaten this season, and I think it’s a good opportunity to remind people we are not fighting to not go down – we are fighting to have a positive end to the season. Arthur Masuaku coming in for Cresswell does not weaken the team but how the remaining spare part players (Ayew, Snodgrass, Feghouli) are scattered into the line-up will be revealing. Arsenal are without Laurent Koscielny and have a problem in the keeper position with Cech out and Ospina doubtful; perhaps a recall for Pat Jennings or David Seaman would be enough on the night. Otherwise the Gunners are at full strength. The referee is Martin Atkinson form West Yorkshire. Atkinson has refereed three previous West Ham games this season, a home defeat to Watford and away wins at Palace (where he sent off Cresswell) and Middlesbrough. In 33 games this season his record is 114 Yellow cards but just the two reds. Previous Previous post: Hull 2 West Ham 1 – now we face a visit to the Emirates!